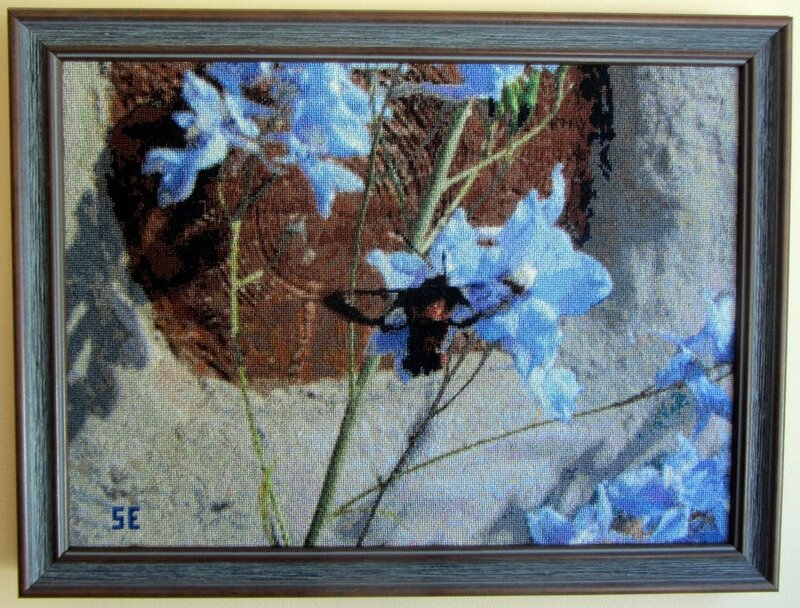 Petit point is a type of needlepoint that is done on a canvas 18 or 24 stitches to the inch (324 to 576 stitches per square inch). Sheila learned the technique in childhood, working with her grandmother Eskenazi. 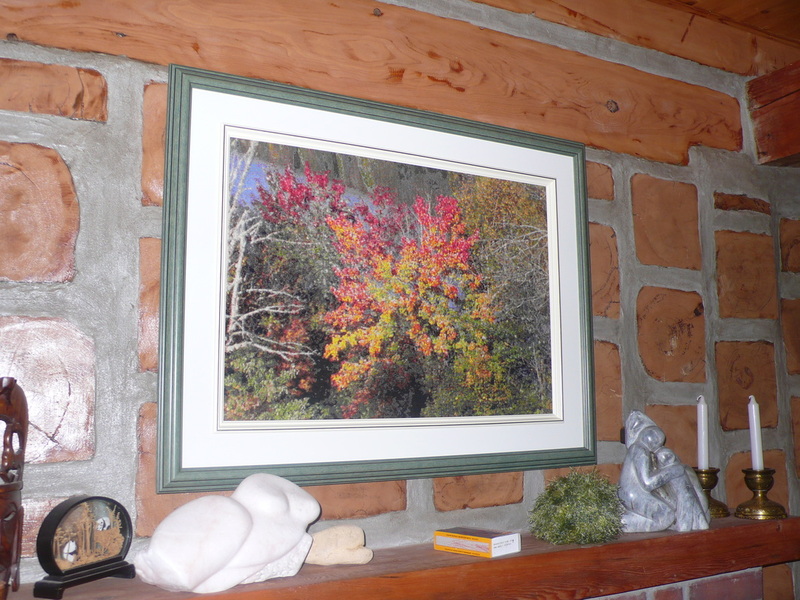 Below are a few pictures of her work. The frame is being loosened to remove the canvas. The two petit points shown to the left were made from a plan that Sheila drew out on sheets of graph paper matching the fabric's grid. Doing this by hand, she chose her subject carefully, limiting the number of shades she would use. 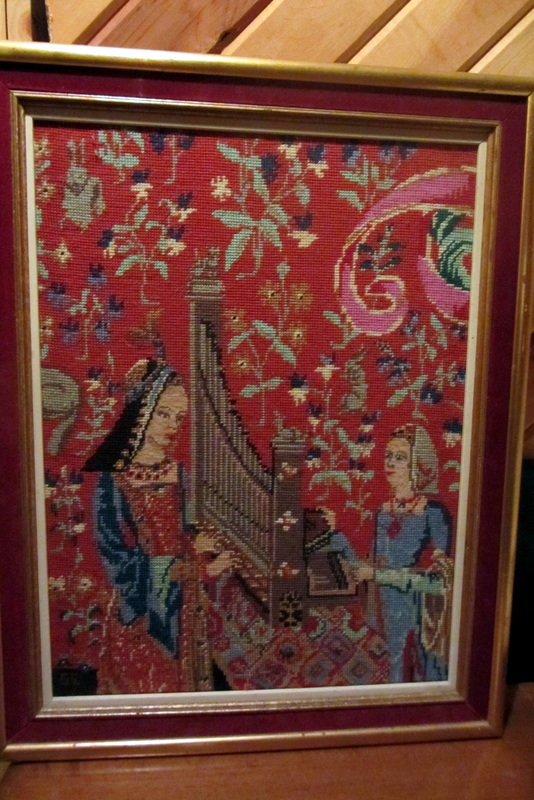 By contrast, the petit point above contains around 240,000 stitches and almost 200 different colours. 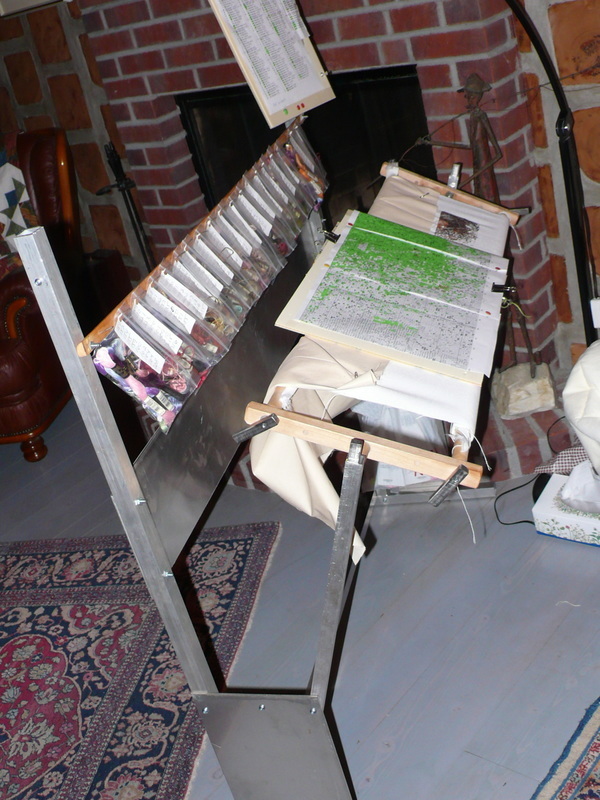 The plan was generated from a computer program that allows her to print out a graph showing a few square inches at a time. Her graph, once printed out, shows a magnified representation of several square inches. Each of these magnified "square inches" contains 576 squares containing various symbols, each representing a colour. As each symbol's colour is sewn into the canvas, she uses a highlighter to colour in each square on the plan showing it was done. To give an idea of the enormous scale of this undertaking, in order, to fill a canvas like the one above, she can use up over 30 felt marking pens just tracking her work on the plan. The piece above took nearly four years to finish. 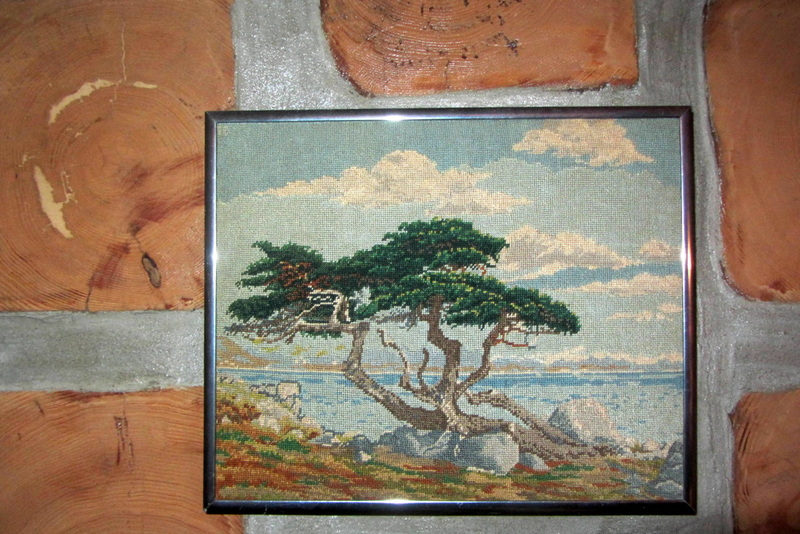 Sheila did needlepoints from a very early age but began to do petit point in the 1970s. 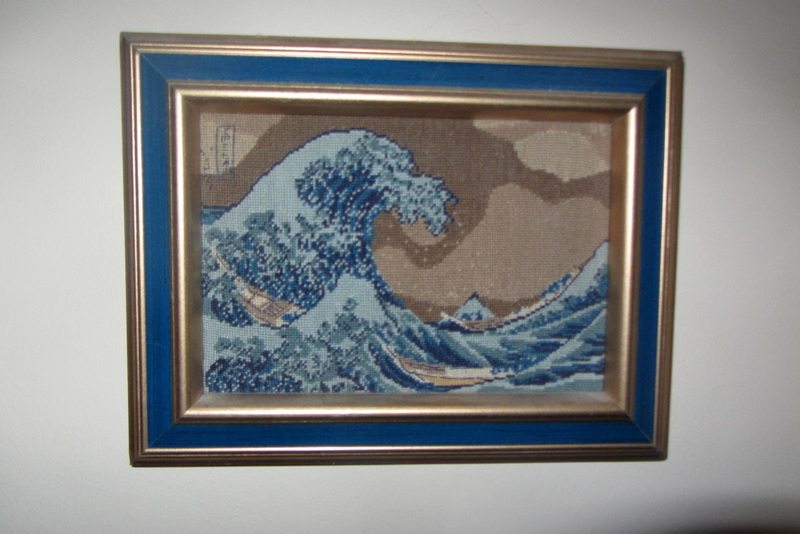 Her grandmother had shown her the technique and she applied it in this needlepoint to the left above. Notice how much finer the threads are on the faces. The Penelope canvas double threads were pushed into the middle of their horizontal and vertical spaces, making room for four stitches where there was only one before. Sheila carried this project on a month-long bus trip she took around the United States in the early 1970s, working on it when she had time. The petit point to the right is a departure from this kind of work. The canvas is Congress cloth and instead of having an image painted on it, she worked from instructions that told which thread to stitch into which square of the canvas. 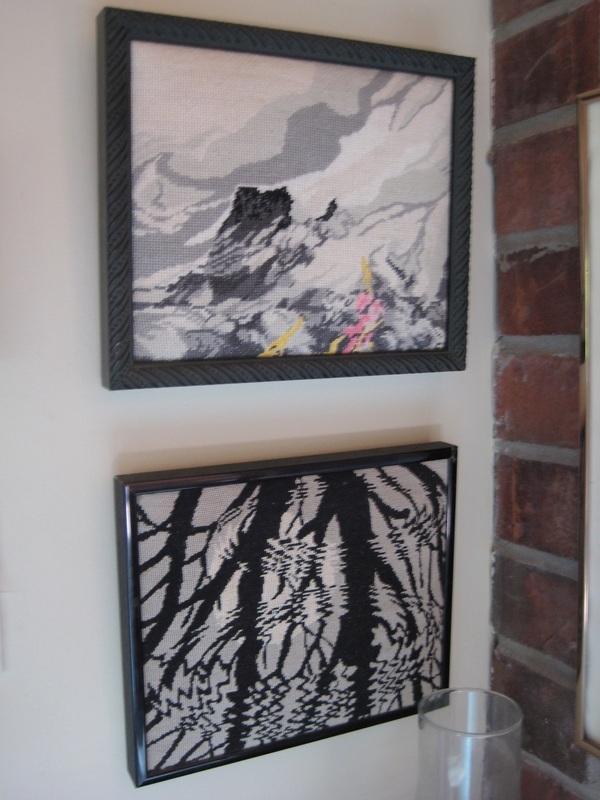 This form allowed her to stitch much more detailed works as shown in these two pieces above, but she was not satisfied with the technique because she was restricted to the subjects that she could buy. She wanted to be able to decide what picture she would stitch..
​All three of these subjects are ones Sheila chose. She charted the original pictures, breaking them into a grid and then selecting shades for the grid to represent the original picture. In these cases, she chose subjects that could work with a minimum number of different shades. The Escher to the right uses only three different colours of thread. Still not satisfied, Sheila looked to the evolving world of computers where she and I were very early adopters. In 2003 she found a computer program that would allow her much more liberty in her choice of subjects. It is called PCStitch and, while they probably didn't expect anyone to push its limits like Sheila was about to do, it worked for her. 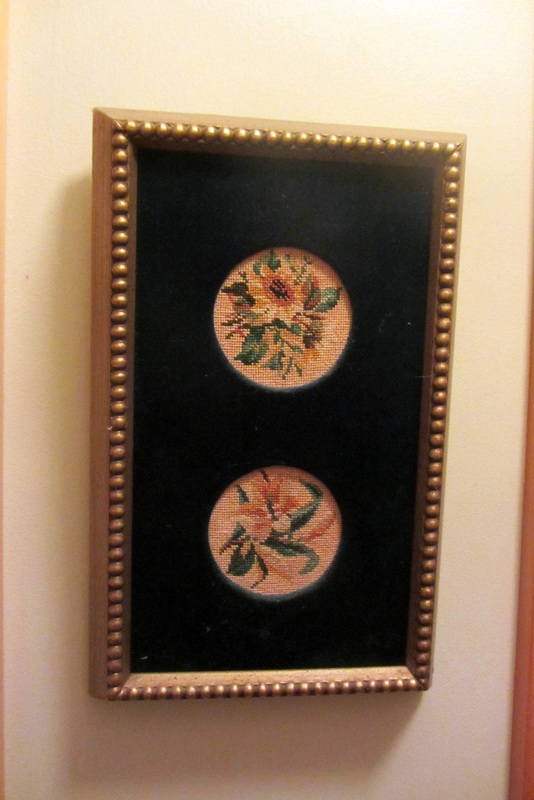 The petit point on the left shows our garden in the fall with beets in front of asters and a rebar forgotten in the centre of the frame where it was once staking something. 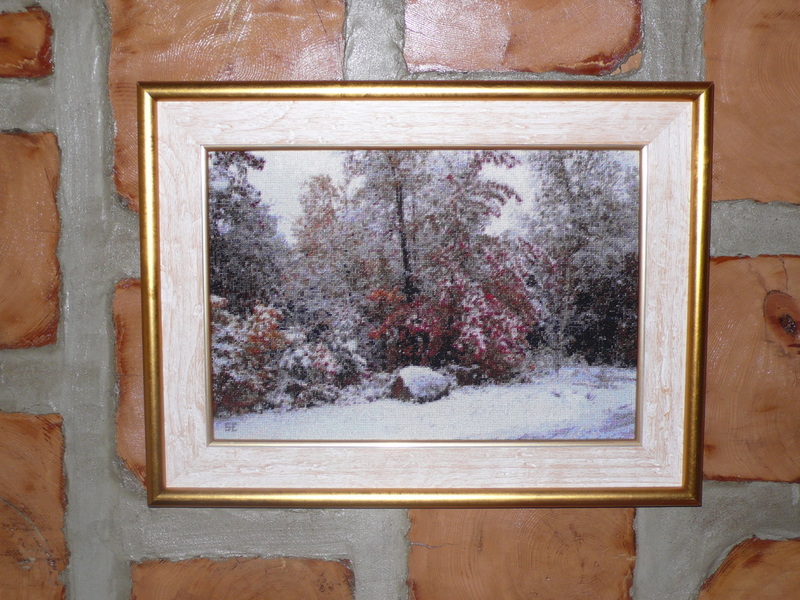 Her canvas was 18 stitches to the inch and she felt it might not be fine enough, The right-hand one is from a photograph of our driveway and the contrasts are strong showing an early snow storm with some autumn leaves still clinging to the branches. It took Sheila 44 months to complete this one. It is an autumn scene of the view from the house. She captured the reflection of the shoreline on the far side of the lake but the shoreline is not in the picture. 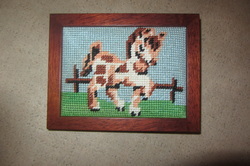 When it was finished, we teased her about having to do another one of the same scale because she has two children. Jonah, always the Solomon, said she shouldn't worry: It was big enough to cut in half and share. 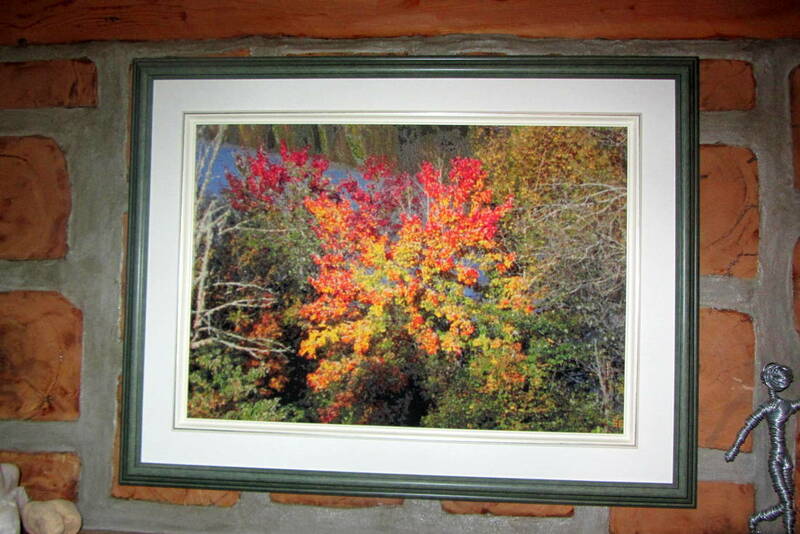 (Inside the frame it is roughly 24 x 16 inches). That comment motivated her to go off into the woods by herself where she found the photo that inspired another 44 month marathon and resulted in the picture below, roughly the same scale. Since then, Sheila has scaled down in size maintaining the same density of 24 stitches to the inch. These are both from photos from our gardens. The one on the left is one of our columbines and the one on the right shows a sphinx moth with its transparent wings sucking a delphinium on the south wall of the house . Below are needle works (excluding her dozens of sweaters and other knitting) that Sheila has done over the years. 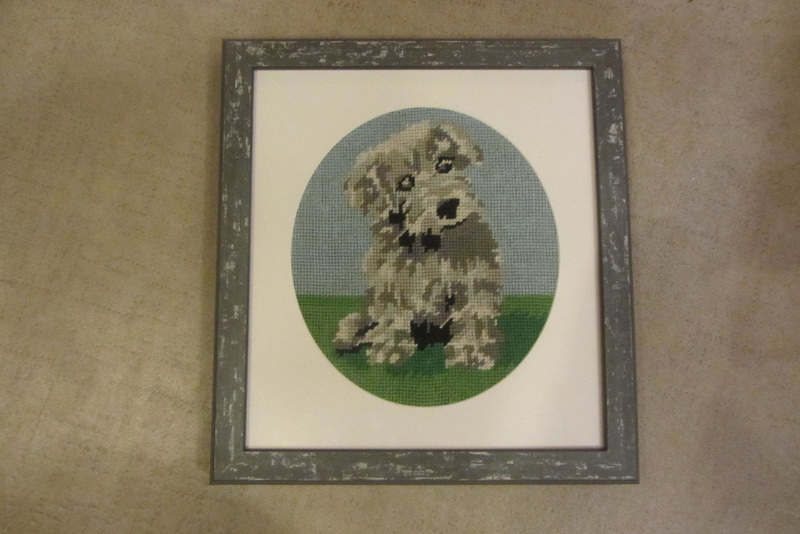 The small one above is Sheila's first needlepoint, done when she was 6 or 7. It was a project to keep her busy as she was put on the bus to visit her grandmother several hours away in Trout Lake. She didn't finish it on the bus, but did keep at it until it was done. The one to the right she did at about 10. It is a miracle we still have them. 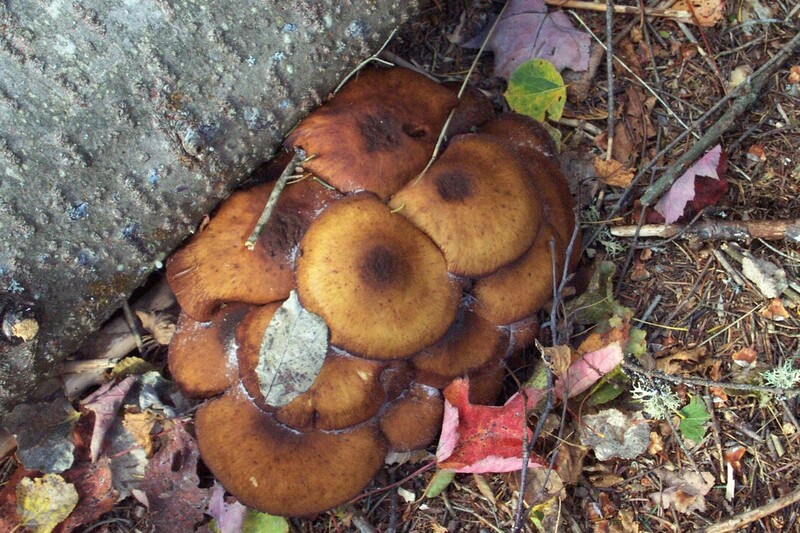 Many others have been lost, or in later years, given away. While nursing her first born back in 1978, Sheila did this table throw. The detail is gorgeous. 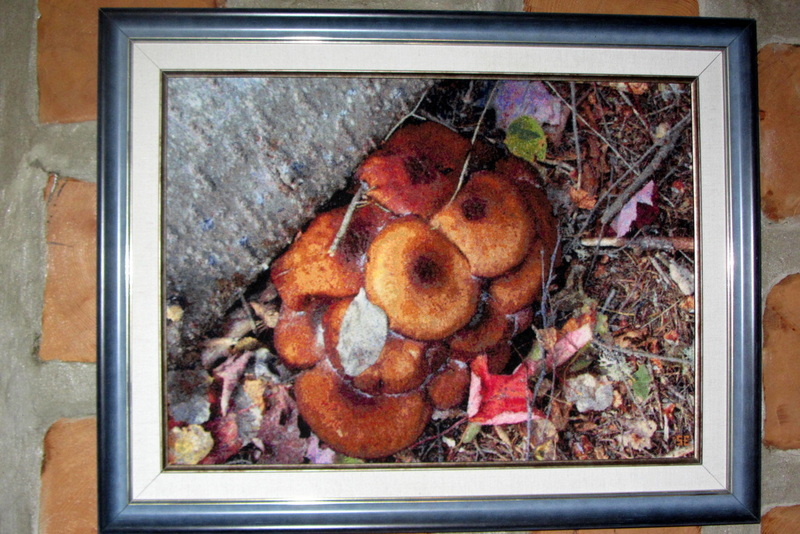 In the picture, it is lying on our kitchen table. Below is a detail of one corner. ​She wanted to make a full table cloth but life got in the way because we began to build our house together. Of course, she carried a second child and not wanting the first to feel left out of the event, she prepared this carpet for him.